Just a few days ago, Hero Motocorp unveiled India’s most powerful quarter litre single cylinder motorcycle, and here is the news to broaden the smile on your face. ET broke the news, and this is the big one for Auto enthusiasts in India. Hero Motocorp is all set to unveil a new concept 600cc motorcycle at Autoexpo in collaboration with their technology partner Eric Buell Racing. New 600 cc will be called “HASTUR”, which means “Evoke”. Hastur will foray entry of Hero in superbike segment. Hastur is expected to propel with 80 bhp 600 cc motor and will weigh under 200 kg. 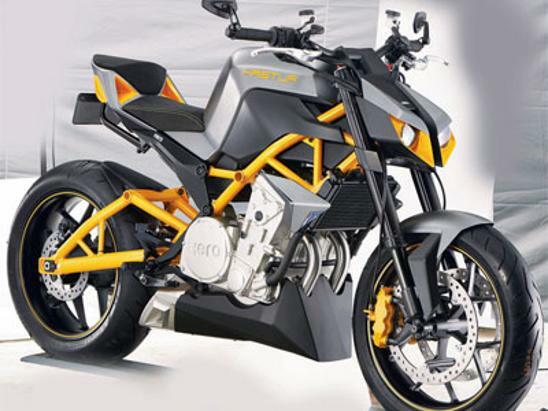 From the prototype sketch it can be observed that “Hastur” is designed aggressively for the international market and the bike carries the naked street fighter look. The design looks a mix of Kawasaki Z1000 and KTM Duke 1290. The bike will use a parallel twin cylinder motor, USD forks, dual disc brakes at front and all this will be placed on a trellis frame. After giving India the direction of fast bikes from flagship models like CBZ and Karizma, Hastur will be India’s first very own super bike. The Indian market for sports-bikes is relatively small but is growing rapidly and that is evident from the number of big bike launches in India. Hastur will directly compete with Triumph, Kawasaki, Honda, Suzuki and Hyosung. As the new 600cc from Hero is completely home brewed, it’ll be the cheapest 600 cc in the country. Last week Hero gave a big surprise to Indian two wheeler industry by unveiling RNT 150 cc TDI motor and HX250R premium bike. Now this one is yet another big surprise from Hero that will surely make Indian automotive enthusiasts happy. After split from Honda, Hero lost its number 1 position to Bajaj for a few months, but as 2014 starts the aggressive models from Hero in every segment from commuter motorcycle, scooter to sports bike will return the glory of success to the company.